Pope Francis urges nations to take in as many refugees as they can integrate into their societies, but also to invest in places like Africa so migrants won't turn to human traffickers to reach countries that can offer a better life. Francis condemns separation of migrant families by U.S.
Pope Francis urged nations Thursday to take in as many refugees as they can integrate into their societies, but also to invest in places like Africa so migrants won't turn to human traffickers to reach countries that can offer a better life. 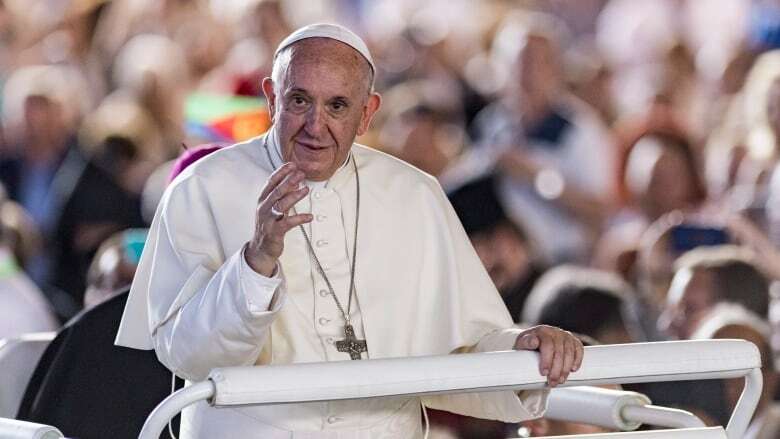 "I am behind what the bishops say," the Pope said, referring to the leadership of the U.S. bishops conference denouncing the separations as "immoral." Francis was asked both about the separation policy as well as Europe's struggle with a flood of migrants rescued in the Mediterranean from human traffickers' boats. Italy's new populist government is trying to discourage more arrivals of rescued migrants. He praised both Italy and Greece for being "most generous" in taking in migrants rescued at sea, and said all governments should take in as many refugees as their countries can handle. "Each country must do this with the virtue of government, which is prudence, and take in as many refugees as it can, as many as it can integrate, educate, give jobs to," said Francis, who for years has urged nations to be more welcoming to those fleeing war and poverty. "We are living through a flood of refugees who are fleeing war and hunger" as well as persecution, Francis said. Francis endorsed European proposals to develop jobs and education in African countries. Italy and some other European Union nations that have borne the brunt of the migrant crisis have been pushing for more development aid to Africa so poor people there won't risk their lives in the hands of traffickers in hopes of reaching Europe and a better life. "So many European governments are thinking of an urgent plan to intelligently invest in those countries, to give jobs and education," Francis said with approval. "The traffickers' prisons are terrible, terrible, like the concentration camps of World War II," Francis said. Francis's trip to Geneva was aimed at promoting unity among Christians, including by concretely working together for peace and justice in the world.